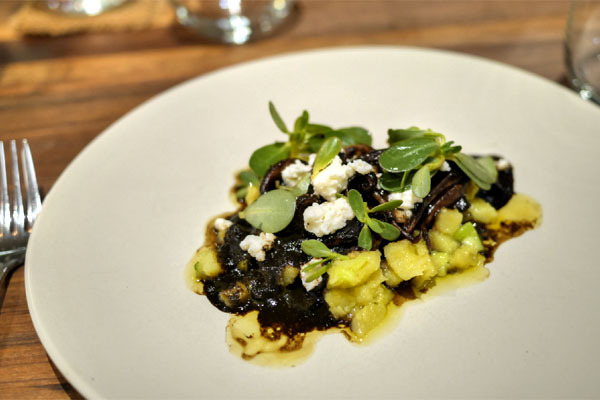 December 2013: #3 on OC Register's "Top 10 New Restaurants" list (behind Little Sparrow and Arc). May 2014: #72 on Jonathan Gold's list of "101 Best Restaurants" in the LA Times (I believe the only other OC entrant was Playground, at #65). October 2014: A duo of awards for "Best Restaurant" as well as "Best Mexican Restaurant" in Orange County by OC Weekly. December 2014: Orange County "Restaurant of the Year" from the OC Register's Brad A. Johnson. March 2015: The top position on OC Register's list of "75 Best Places to Eat." 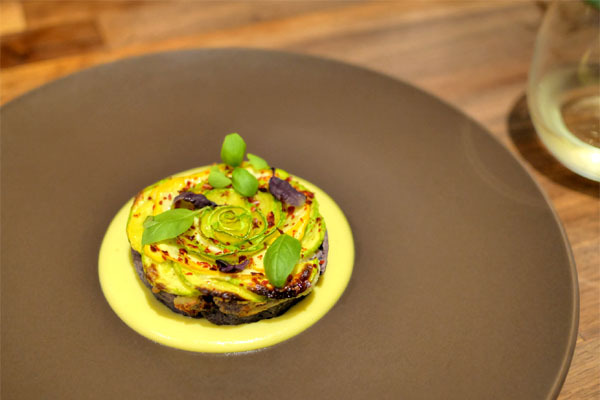 March 2015: A spot on Food & Wine's "2015 Best New Chefs" list (alongside Ori Menashe). July 2015: Second place on Opinionated About Dining's second annual "FRESH List", behind Sean Brock's Husk. 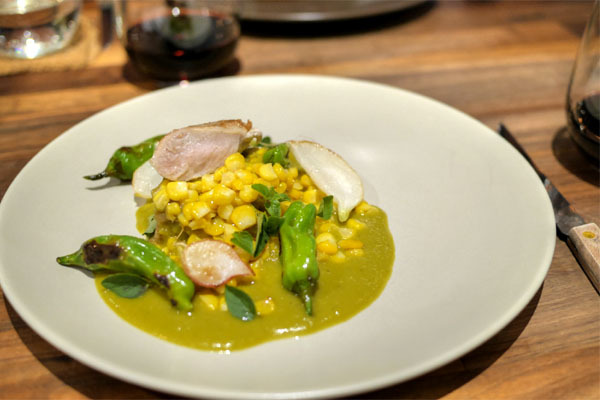 This is a new one for me, but FRESH is a rather unwieldy acronym for Farm-to-Table cuisine; Regional American cuisine; Ethnic cuisine; Sustainable ingredients; served with American-style Hospitality. 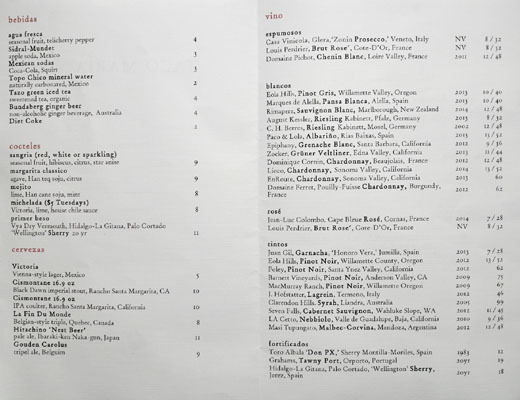 To get an idea of what that's all about, other restaurants in the top 25 include Le Pigeon, Rose's Luxury, Bestia, Pok Pok, Son of a Gun, Ad Hoc, and Animal. The menu format remains a four-course prix fixe, though the price is now $65 plus $29 for wine pairing, up significantly from $46 and $24 last time. Other changes: in addition to lunch, the à la carte menu is available on Tuesday evenings, and brunch is also an option; I've heard as well that Roland Rubalcava has been promoted to CdC. 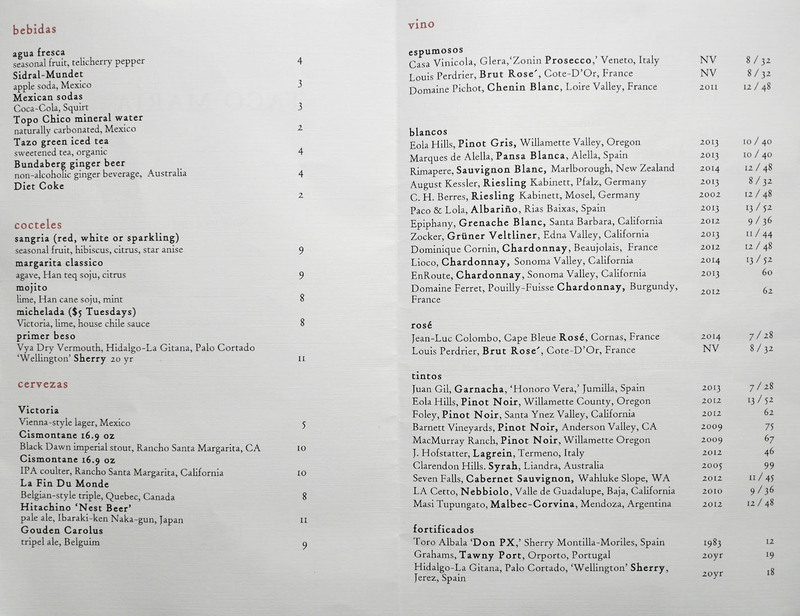 To drink: a small wine list, a few beers, low-proof cocktails, and a smattering of non-alcoholic bebidas. Click for larger versions. The meal began as always with an amuse cocktail, and tonight's featured prosecco, lemon, citrus syrup, and a grape garnish. 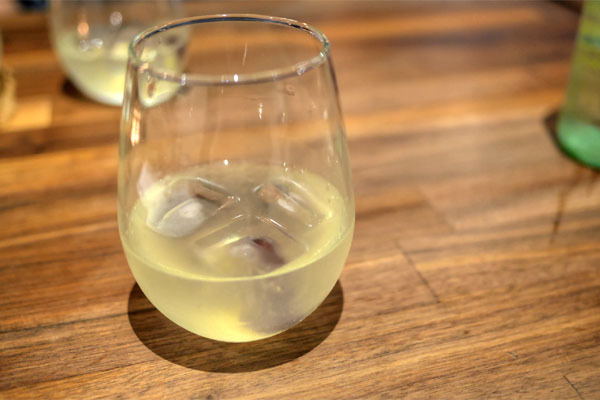 It worked wonders as an apéritif, coming out super refreshing and effervescent, yet with a surprisingly complex flavor profile that balanced sweet, sour, and even a bit of savory. Next were three little amuses to accompany the drink. I began with the pickled radishes, which were delightfully crunchy, tangy-sweet little bites. 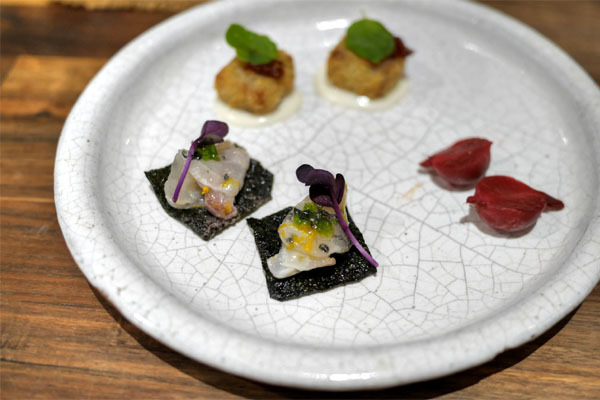 The suzuki was even better, with the clean flavor of the Japanese sea bass melding beautifully with the umami-rich nori "tostada," the whole thing accented by a smidge of heat on the finish. Last up was a panko-crusted pork trotter with queso fundido, another doozy of a bite that blended the super savory nature of the meat with the richness of the cheese, all while the herbs up top imparted a lightness to it all. 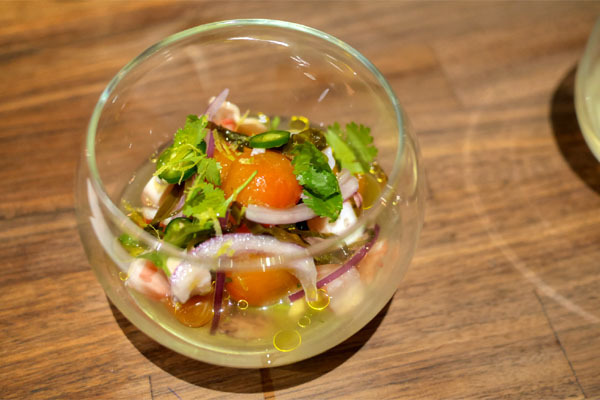 Salgado's take on campechana stood out as a first course, a super bright presentation that highlighted the tastes and textures of each individual item of seafood. The back-and-forth between the acidity in the dish and the olive oil was absolutely key, and I was a big fan of the avocado as well. Great use of a tingling, lingering spice on the back end, too. Next we had pretty much the most artfully-presented sope ever. It delivered on the taste front too, the dish's hearty base of masa playing off the sweetness of the veggies in prime fashion while the basil imparted a necessary lightness. Great bit of heat as well here on the close. I believe that this was my first encounter with chilmole, a sort of sauce made with charred chilies and spices. It was the star of the show, imbuing the tender, snappy squid with a depth of savory, smoky, sweet flavors while the potatoes worked to temper the interaction. Excellent zippiness from the purslane to boot. The rice was even better, teeming with the sweet, satisfying brine of the crab. 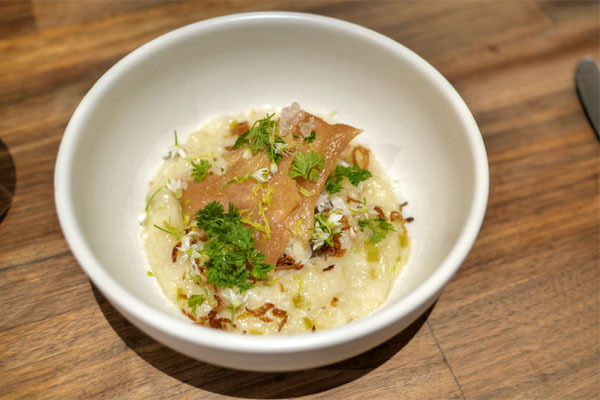 I would have no problem eating just that porridge alone, but the herbiness, the citrusy notes made it all the better, as did the crunchy and deeply savory chicken skin. Yep, I wanted a bigger bowl of the stuff. 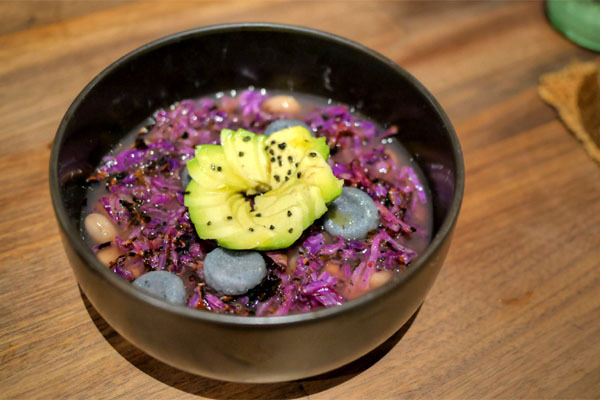 Another standout was this homey yet finessed preparation, one that paired a base of hearty, smoky beans against the sheer heft of chochoyote dumplings, the combination dutifully moderated by the veggies present. 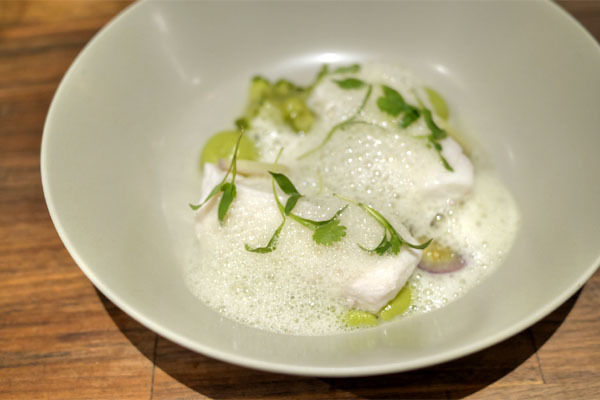 Compared to the in-your-face flavors of the preceding course, the halibut was all about subtlety, the firm, flaky, delicate fish complemented, but not dominated by contrasting notes of tart tomatillo and sweet melon. Rabbit made for a cozy sort of dish, the meat well-matched to the zestiness of chile verde. I appreciated the sweetness of the corn here as well, not to mention the slight heat from the peppers. My only concern was that one of the pieces of conejo was on the tougher side. 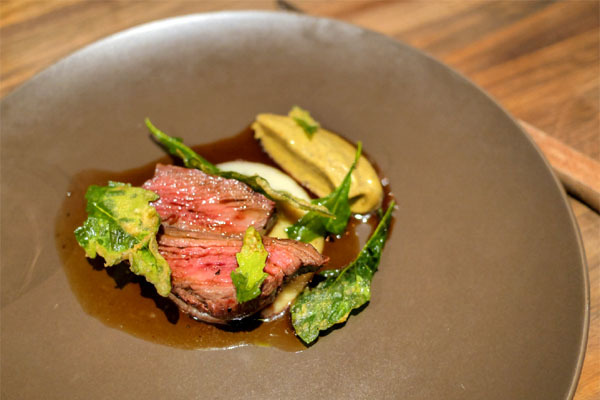 The Chef's take on carne asada was definitely a huge step up from what you typically encounter, the rib eye arriving gorgeously beefy, with a superb smokiness that linked up with the onion and eggplant elements on the plate. Sadly, there's still no dessert served at Taco Maria (and remember, Salgado was a pastry chef before this). 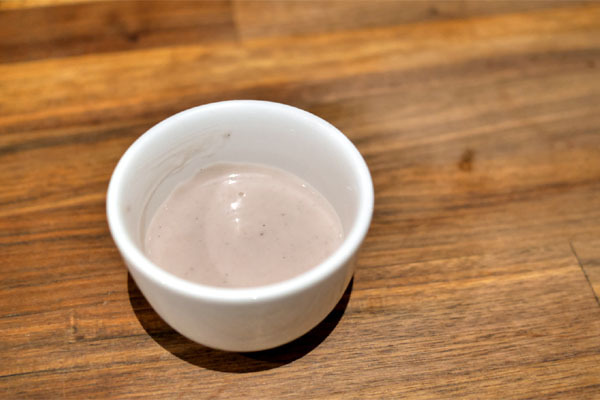 Instead, we received an atole featuring blue corn masa and roasted strawberry jam, a thick, viscous potage that balanced the sweetness of the fruit against the drink's strong base of corn. Tonight's meal was even stronger than my last, and it was great to be able to see how Salgado's cooking has evolved, becoming even more robust, even more refined. It's this balance of familiarity and modernism that makes Taco Maria one of the most important Mexican restaurants in the state, and one of the top in the country I'm sure. I'm excited to see where the Chef takes things from here.